Just a few months ago I wrote about my simple fennel salad, a kitchen standby that tastes absolutely fresh and delicious, and requires only about five minutes of one’s time to make. The standard version requires fennel, good Parmesan, salt, pepper, a lemon vinaigrette and some fresh herbs- a winning combination. While I make a point to get variety into my meals, both for myself, and for your viewing pleasure, some dishes (like this one) are so good that they get heavy rotation in the kitchen. I take a lot of pleasure in tweaking these favorites each time based on ingredients I have on hand, and seasonal variety. This version, for instance, includes grapes, aged gruyere, and meyer lemon. 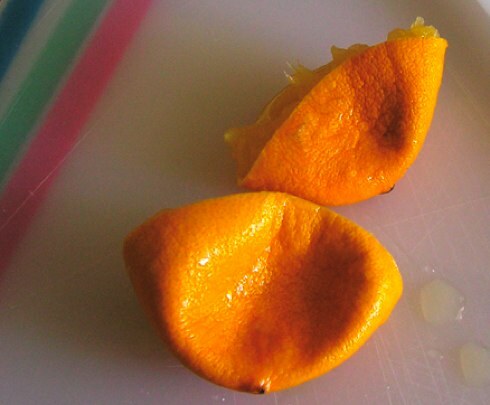 Today, my quest for lunch began with one beautiful meyer lemon, sitting on my counter, just waiting to be used. Meyer lemons are much sweeter than the regular yellow lemon, more of a cross between a lemon and a mandarin orange, imported to the United States a little over one hundred years ago from China. These little fruits are absolutely delicious. As I searched through the fridge, I came across a fennel purchased at the farmers market that had been hiding, and a little bit of leftover aged Gruyere that I had bought from Cowgirl Creamery. With such delicious ingredients, I knew that I wouldn’t be letting my little lemon down. 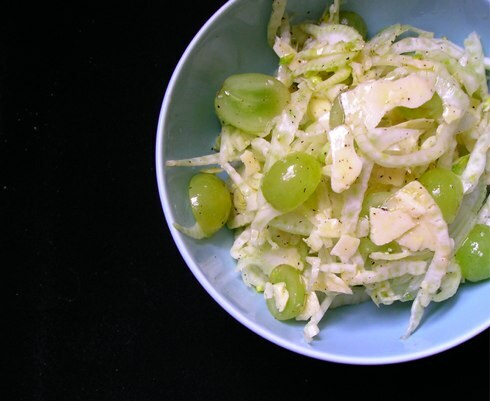 Today’s Simple Fennel Salad, revisited: Simply toss one fennel bulb, shaved or thinly chopped, with a handful of plump green grapes, and some aged gruyere. Top with a lemon vinaigrette: one meyer lemon, a few good glugs of extra virgin olive oil, some pepper, and coarse salt. 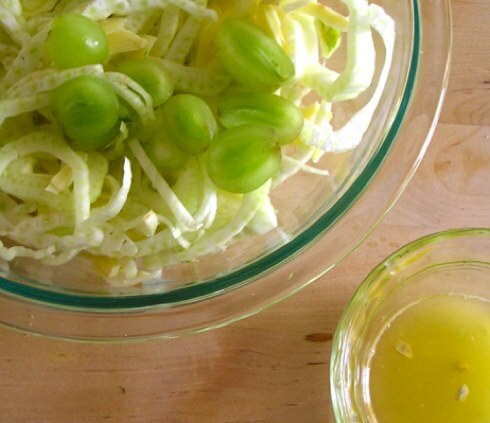 Other things you can do with fennel salad: I like the idea of pairing fennel with cheese, fruit, and a citrus-y vinaigrette, but even within that structure, there are endless possibilities. I might do it with apples, orange slices, or pears. I might add feta and olives and call it greek. A big handful of fresh herbs, such as parsley, thyme, or mint always complements the flavor. You can also add color by adding some grated carrots, mushrooms or arugula. You could also toss in a handful of fresh walnuts, or lace it with some prosciutto, or top with some white anchovies. Get where I’m going here? This salad allows for freedom and creativity which is why I love it so much! As part of a menu: I think that this salad is great on its own, or with a little bit of good bread, but it would be equally nice paired with some grilled shrimp, chicken or fish, with a side of roasted potatoes. I love all of the flavors you use here. It sounds so fresh and perfect (just like you said). Also, if there’s gruyere, I’m in. i do love a good simple fennel salad. this one looks beautiful. i often love how, if you let it marinate overnight, the fennel almost ‘cooks’ a bit and softens up. one of my favorite veggies. This sounds delicious — had to pop over from the recent Farmer’s Mkt post. If I can get my hands on a meyer lemon, going to make this next week. Thanks!